My social media platforms took a weird turn this weekend. One minute, it was all racism, gun violence and Hamilton, and seemingly out of nowhere it became SQUIRTLE! MEWTOO! GOTTA CATCH EM ALL! Was there some kind of a 1998 time warp? I can’t have been the only person who didn’t have advance notice of Pokemon Go and has been struggling to put it all together piece by piece. Let’s be clear: I think Pokemon Go is great! It gets people outside, smiling and walking and talking to friends and strangers. Dogs get exercise. Neighborhoods are explored. Everyone’s talking about the same thing (which is one of my favorite things about social media phenomena, generally). I also have no clue what’s going on. And since I’ve been getting messages that my iPhone storage is almost full for the past two weeks, I won’t find out until I get all of my photos on a cloud and cull my iTunes library. 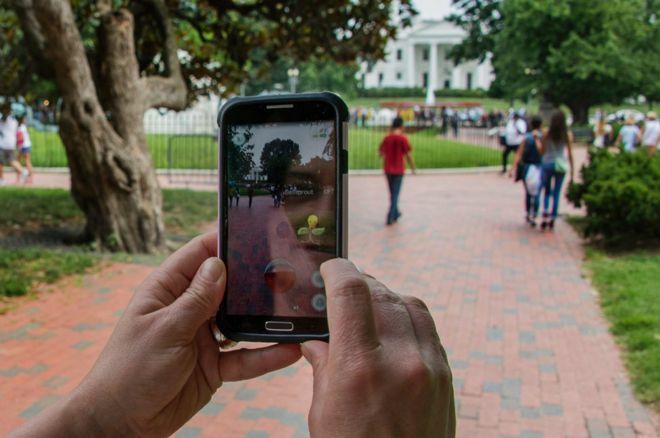 Pokemon Go was developed as a secret initiative of Michelle Obama’s Let’s Move program. “Rare” Pokemons are in really dangerous spots. Or, like, in a cemetery at night. Over 10 players were hospitalized with overdose symptoms but curiously, no evidence of drug use was found. Time for you to go to sleep? A coveted Pokemon appears in your bed. When you have to get up, there’s one by your coffee machine. A trail of Pokemon will appear, like moving targets, until you have completed your step goal for the day. You can even set Pokemon to appear at your nana’s nursing home – so you visit more – or at a local farmer’s market if you’re trying to eat more greens. A new Pokemon will appear around the corner from your workplace or home after you’ve finished a work assignment or homework. Have some iffy moles? There’s a Scyther at your dermatologist’s office. Pokemon Go works better if you walk really slowly and stop dead in the middle of crowded sidewalks. I don’t know, I’m just basing this on youths I’ve been stuck behind on my way to and from work. So, so proud that they put them EVERYWHERE. It’s like when god made rats: clearly pretty pleased with himself, since those jerks will survive anywhere. Don’t do it, Kevin. There’s a 6-month prison term at the precinct. There’s a Bulbasaur onstage during the duel in Hamilton. Audiences feel that, if anything, it enhances the experience. 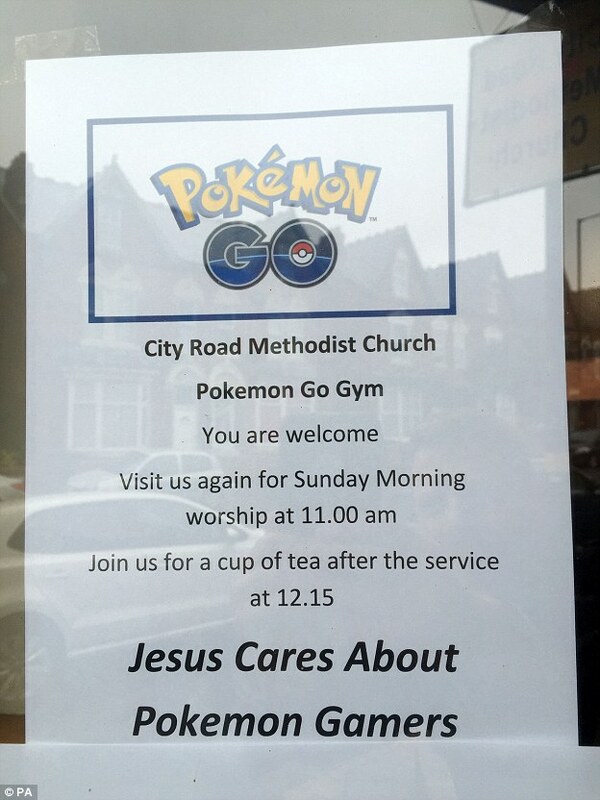 The “Churches are Pokegyms” thing was meant to be social commentary. I don’t know, something about how we worship physical fitness, or a protest against churches’ tax-free status, probably. Or one of these guys is really into church and is trying to get people into it. Not sure. Pokemon Go Urban Legends already exist. The Charizard was flying from INSIDE THE HOUSE. When she got out of the car, Ash’s fingernails were scraping against the roof of the car. He turned around to the backseat, and the Pikachu he had picked up had vanished. He went up to the nearest door. “Oh, Pikachu? He died in 1999,” the old woman said. Why else would it have caught so many people cheating, according to headlines I saw but didn’t click on? Also it has all of your secrets, so don’t piss it off. If you’re crossing the street, you still have to look both ways. If you’re driving, you still can’t play a game at the same time. Like I said, I haven’t played the game yet, but I’ve seen it blamed for injuries on the news and I’m almost positive you can’t walk out into traffic when you’re playing.